One of the perks to having a destination wedding is spending more than just a day with your guests. This is an especially good thing, as the day of the wedding seems to go by quick. Instead of just lounging by the pool bar (not that there’s ANYTHING wrong with that), plan a group excursion that will create long lasting memories. Excursions are a fun and unique way to bring your group together and keep the party going. You can go about inviting people in a few different ways—and since there are so many different excursion options, you don’t have to limit yourself to just one excursion. Consider an in-destination bachelor or bachelorette party. For this, you would want to have more of a close-knit group of guys or gals, whether in your bridal party or not. This is also a convenient option if your bridal party lives in different areas so they aren’t traveling separately for your Bach party and again for your wedding. Did you know the Caribbean has some of the best golf in the world? Hit the links with the guys or girls! If you’re looking for a party, check out the downtown area of your destination to see what their nightlife is like! Some resorts even offer bachelor/bachelorette party packages. If you’re hoping to spend extra time with extended family, plan a ‘family reunion’ excursion. Include both your immediate and extended family. You’ll find yourselves reminiscing all while creating new memories—not to mention, some great photo additions to your wedding album! Check out historical areas in your destination—like the Mayan Ruins in Tulum or the Rose Hall Great House in Montego Bay (keeps dad happy—right?). Wind down the day with a sunset catamaran dinner cruise. No matter what you do, your family will appreciate the special time you spend with them. Whether your guest list is big or small, why not invite everyone! There are excursion options for all size parties. For a small group, the options are rather endless and you have the advantage of playing into specific interests of the group. This certainly doesn’t mean the experience for a large group cannot be unique! What better way to thank your guests for traveling than going snorkeling!? If your budget doesn’t allow for covering your guests’ excursion expenses—no problem! Let your guests know what options they have and it can be up to them if they’d like to join in on the fun. Check out our blog for more of our favorite excursion ideas! We know destination weddings are becoming exceedingly popular. Apart from being a fun addition to your wedding, an excursion can be what sets your destination wedding apart from all the others. When you do the excursion is totally up to you! Do consider your guests’ arrival and departure dates. Most guests arrive the day before the wedding—in this case; a welcome party event is a great way to include all your guests. Otherwise, take this opportunity to thank your bridal party. An excursion is a fun alternative for an otherwise expected rehearsal dinner. If guests aren’t leaving right away the day after, take advantage of a ‘farewell’ event. Your Weddings by Funjet concierge is excited to help you plan the perfect excursion event for your group. Why Should I Book an Excursion? Many times we hear from guests that they wish they would’ve experienced more outside the resort or checked out a local attraction. 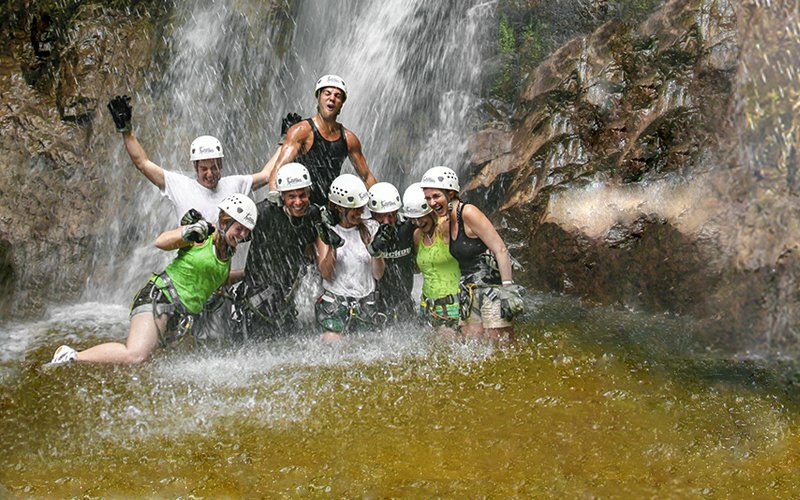 Feedback we hear from couples is that their trip went by too fast and their guests were gone before they knew it. If you haven’t heard us say it enough already; take advantage of every moment during your trip! Aside from being a special addition to your big day and a way to spend extra time with your guests, excursions provide opportunity to experience foreign culture and language, meet new people, explore the country, try something new, snag Instagram-worthy photos and among other things… cross something off your bucket list! There is truly an excursion option for everyone. Add an excursion to your wedding itinerary—you won’t regret it! Katie’s expertise in destination weddings and vow renewals has resulted in over 60 happy couples. Combining her passion for travel with her love of life’s celebrations, Katie’s work with Weddings by Funjet was a natural fit. Katie believes that the most memorable experiences are the result of travel and has finesse in infusing local culture into her couples’ big days.